The Census Bureau found that by 2050, there may be nearly 84 million Americans aged 65 or older, effectively doubling the current population of seniors. So clearly this is great news that, as a population we are living longer healthier lives! For the country's oldest residents, the use of telemedicine represents a more relaxing and efficient way to receive healthcare treatment. Through technologies such as digital medical devices, real-time streaming software applications and video conferencing, doctors can offer high-quality care remotely. For seniors who may find it difficult to drive to an in- person appointment or who are living with a mobility issue, this is an important new tool. "Seniors can visit a telemedicine station at their continued care facility." Instead of traveling to a primary care physician's office, a senior can visit a local clinic or a telemedicine station at a continued care facility such as assisted living centers, long term care homes or retirement communities. For older adults living in rural or remote communities, this ability to access care without traveling or delay is very powerful. Through telemedicine, the barriers that may prevent elderly patients from seeking out a medical consultation are lowered significantly, especially when a telemedicine station is installed in a neighborhood clinic or within an assisted living facility. A telemedicine encounter is personable and warm yet efficient. A patient's health history is easily accessible by a healthcare provider, and with the help of an attending clinician at patient's side, the doctor can give a full assessment and offer guidance to manage the medical condition. This is especially important to seniors with chronic conditions and those trying to manage a number of different prescriptions, as both parties can enjoy a quick and easy check-up with helpful information that is immediately available. 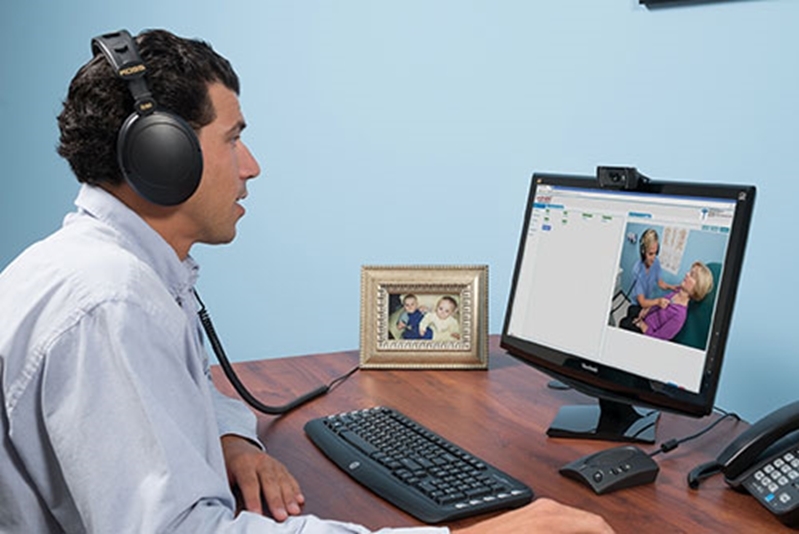 Telemedicine allows physicians to connect with patients remotely. Likewise, for those that might need post-op follow up care, telemedicine eliminates the need in many case for them to travel long distances for a check-up that can be easily done via telemedicine in their home or local clinic. Family members and caregivers also stand to benefit from the proliferation of telemedicine. Not only can the technology make it easier for a loved one to receive care, but a caregiver or family member also benefits from improved communication with a physician. Caregivers also stand an advantage by being able to be present during telemedicine exams and have direct access to the caring physician if necessary. there may be a projected shortfall of between 46,100 and 90,400 physicians by 2025. Physicians that leverage telemedicine, are able spend less of their time traveling to remote clinics or appointments and more time treating patients. Telemedicine allows providers to treat more patients and ensures patients still have access to the treatment they need without having to wait a long time for your appointments. Improved communication and coordination may also promote better adherence to treatment plans, as well provide an opportunity to teach older patients the importance of proactive behaviors. Evenly remotely, a physician can offer advice related to diet and exercise, and use an accompanying EHR to make a more targeted and appropriate set of recommendations. For patients that may smoke tobacco or have other unhealthy habits, a telemedicine session may also be helpful at addressing strategies to break these behaviors. Learn more about AMD's Clinical Assist series telemedicine systems for long term care facilities.